Medal of Honor Level – $5,000 Featured in press material. Representative to speak at event. Logo featured on shirts, website, posters. Logo displayed on sponsor banner. Space to set up a table. Opportunity to donate giveaways for the participants. Silver Star Level – $2,500 – Featured in press material. Logo featured on shirts, website, posters. Space to set up a table at event to hand out your literature. Opportunity to donate giveaways for the participants. Name listed in the 2018 Wounded Hero 5K program book. 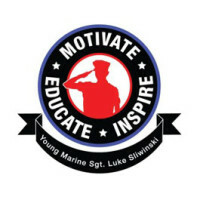 Bronze Star Level – $1,000 – Logo featured on shirts, website, posters. Space to set up a table at the event. Opportunity to donate giveaways for the participants. Name listed in the 2018 Wounded Hero 5K Program book . Purple Heart Level – $500 – Logo featured on the website with a link to your site. Logo on the flyer. Opportunity to donate giveaways for the participants. Name listed in the 2018 Wounded Hero 5K Program. Patriot Level – $250 – Logo featured on the website with a link to your site. Name listed in the 2018 Wounded Hero 5k program book. Please help support the organizations who support our cause!